Pixar Animation Studios’ 19th feature film Coco introduces Miguel, an aspiring singer and self-taught guitarist who dreams of following in the footsteps of his idol, Ernesto de la Cruz, the most famous musician in the history of Mexico. But Miguel’s family forbids music—passed down from generation to generation, their ban on music is strictly enforced. Miguel’s impulsive actions spark a magical transformation that renders him visible only to those who have come to visit from the Land of the Dead on Día de Muertos, also known as Día de los Muertos. This lively and colorful parallel world is populated by generations and generations of people who long ago left the Land of the Living—including Miguel’s ancestors, who instantly recognize him and offer to help—but only if he agrees to give up music forever. The all-Latino voice cast includes characters from the Land of the Living and the Land of the Dead. 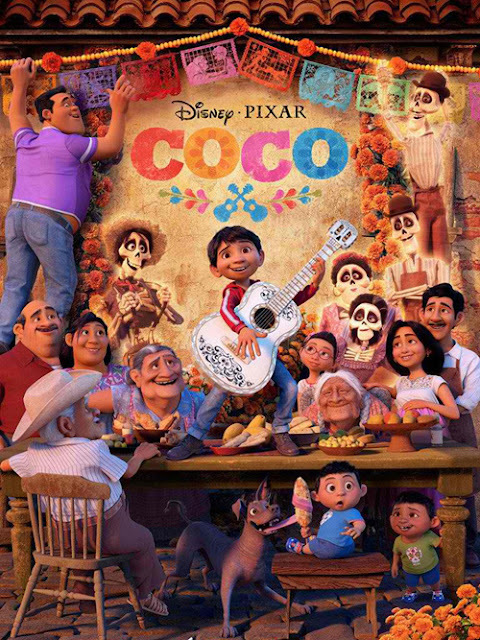 From the Land of the Living, Anthony Gonzalez (TNT’s The Last Ship) lends his voice to Miguel, Ana Ofelia Murguía is the voice of Miguel’s cherished great-grandmother Mamá Coco, Renée Victor (Weeds) provides the authoritative voice of Abuelita, Jaime Camil (Secret Lives of Pets) is the voice of Papá, and Sofía Espinosa (Gloria) provides the voice of Miguel’s loving Mamá. 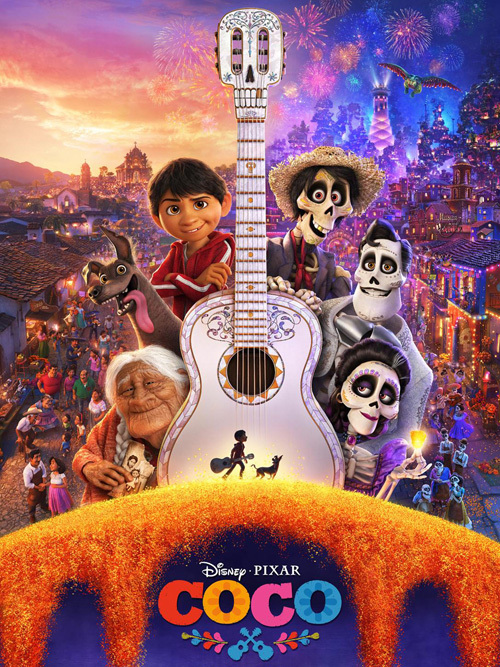 Luis Valdez (director La Bamba) and Lombardo Boyar (Happy Feet) lend their voices to Miguel’s uncle and a town mariachi, respectively. 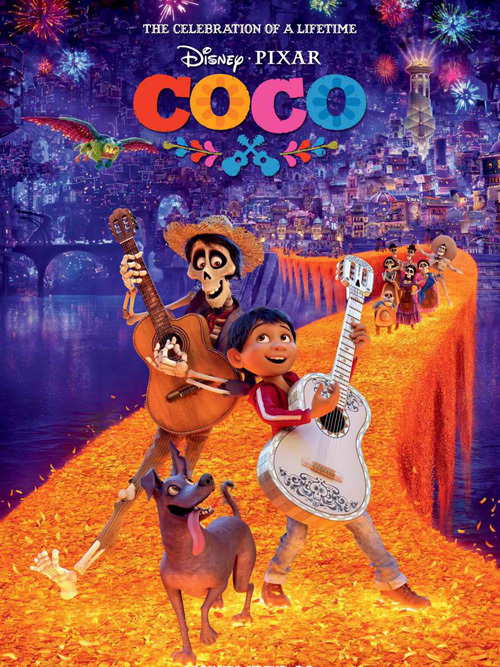 From the Land of the Dead, Gael García Bernal (Amazon’s Mozart in the Jungle) helps bring to life charming trickster Hector, Benjamin Bratt (Doctor Strange) is the voice of Miguel’s idol Ernesto de la Cruz, and Edward James Olmos (Blade Runner) lends his voice to Chicharrón. Alanna Ubach (Bravo’s Girlfriends’ Guide to Divorce) provides the voice of Miguel’s great-great-grandmother Mamá Imelda, Selene Luna (My Bloody Valentine) voices Tía Rosita, Alfonso Arau (director/producer Like Water for Chocolate) is the voice of Miguel’s late great-grandfather Papá Julio, and Herbert Siguenza (Ben 10: Alien Swarm) lends his voice to both Tío Oscar and Tío Felipe, Miguel’s late identical twin uncles. Directed by Unkrich (Toy Story 3), co-directed by Molina (story artist Monsters University) and produced by Darla K. Anderson (Toy Story 3), Coco features an original score from Oscar®-winning composer Michael Giacchino (Up, Rogue One), a song by Kristen Anderson-Lopez and Robert Lopez, and additional songs co-written by Germaine Franco and Molina.